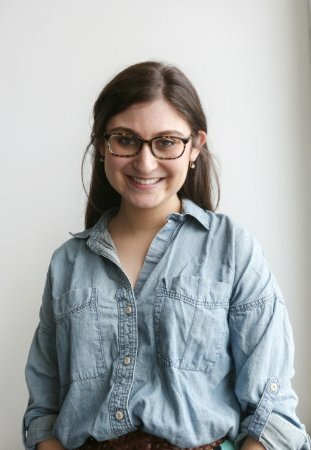 I'm Rachel Peck, the Chief of Staff at Harry's. Harry's is a men's grooming brand built for guys who know they shouldn't have to overpay for a great shave. We have a deep respect for quality craftsmanship, simple design, and modern convenience -- values that have continued to drive our brand and company forward. In addition to our direct-to-consumer business where we manufacture and ship razors directly to our customers, we've started partnering with big retailers like Nordstrom, Target, and J.Crew to sell to guys all over North America. And we own our factory in Germany, so you know that every Harry's blade is top quality. As the Chief of Staff, I directly support our two Co-Founders, Jeff and Andy. I spend my days (trying to) make sure they have the preparation, tools, and materials they need to be successful, and that the broader business needs are well supported. I feel like I'm doing my job well when our co-founders are able to do their jobs well, and ultimately the company moves forward. My typical day at Harry's is anything but typical; in general my day starts and ends in email, and there's a lot of email in between. In the mornings, I check my inbox first thing to make sure nothing exploded in the 8 hours (okay, more like 6 hours...) I've been sleeping. I spend some time clearing out my inbox, and then I'm in and out of meetings all morning. I really try to structure my day so that I have blocks of time to work on projects that require more headspace, especially in the afternoons. Because I'm interacting with so many facets of the business, things can get pretty chaotic. I've refined my method over the years, but at first it was tough to find a system that worked. I use my inbox as a to-do list, so it is important for me to have a system that helps me keep it organized and maintained. While I prefer to keep a nice and tidy inbox, I don't have control over what other people send me and sometimes it can feel like a firehose as I'm directing and funneling information to the people who need it. I knew I needed a tool that would help me stay sane and manage my inbox in a productive way. Our company signed up for Boomerang a couple of years ago - in fact I remember the email that went around asking who wanted a license. I figured it was worth trying out, since email is such a big part of my work life, so I signed up and never looked back. We're a pretty young company -- both in terms of how long we've been around (since 2013) and the average age of our employees (more than a few people were born in the 90s). Since many of my coworkers grew up using Google products we find them intuitive, and Google Apps (now G Suite) just seemed like the logical choice for us at Harry's. It truly has made our company run more smoothly. Since launch, we've grown into a global business with teams around the world that all need to work together. With Google docs and sheets, we're able to collaborate seamlessly wherever we are. And now because wifi is so ubiquitous, even on planes, it's really easy for us to stay connected all the time. For better or for worse :) It's not rare to find someone editing a Google Sheet 35k feet in the air. In addition to docs and sheets, I also spend a big chunk of my day in email, and it's important to have a system that works no matter what computer I'm using or where I am in the world. Google provides that flexibility; thanks to Boomerang I'm orders of magnitude more productive and organized than I would otherwise be, wherever in the world I am. As I'm thinking about it now, it's really hard to say what my favorite feature is. I use Boomerang in both of the ways it was intended: to send messages later and bring them back when they're relevant. A big part of Boomerang's value is how it allows me to work when it's convenient for me. For example, there's a team meeting I plan every week. I got feedback that it was stressful for people to receive the agendas Sunday nights, but that was the best time for me to work on them. The meeting is early Tuesday morning, and I always want to give people 24hrs to review the agenda so they can come prepared. Monday mornings tend to be really hectic for me, so there was no way I could get the agenda ready and sent in the midst of all the chaos. Thanks to Boomerang, now I can work on the agenda when it's convenient for me and use Boomerang's send later feature to send it Monday morning when it's better for the team to receive it. What a win-win! I also use the follow up checkbox all the time to set up a message to come back if the person I'm talking to doesn't respond. If somebody says they're going to follow up with me in two days, I trust them. But experience has taught me that my colleagues are just as busy as I am, so I have Boomerang as my safety net in the very rare case that a human forgets to follow up. It really helps me stay on top of everything that's going on. The best part is that my colleagues have told me how helpful it is to get (friendly!) reminders when they need them. I love how Boomerang feels easy and safe. I trust it. In the two years I've been using it, Boomerang has become part of the natural flow of my day: things are constantly resurfacing to my inbox, which is a system that works well for me, and I'm always scheduling messages for later. Since I've had such a positive experience, I've been singing Boomerang's praises for a while. It's truly an intuitive tool, and so easy to use. I never have to worry about where my messages go or what happens if I make a mistake. (Not that I ever make mistakes…) You guys thought of that, and now I can just open up my Boomerang-Outbox folder to make edits, which happens regularly for me with things moving and changing so quickly. Honestly, I don't think I could say enough positive things about what you've built. I can confidently say Boomerang has made me much better at my job. "I have Boomerang as my safety net in the rare case that a human forgets to follow up. It really helps me stay on top of everything that's going on. The best part is that my colleagues notice and have told me how helpful it is to get (friendly!) reminders when they need them." "Boomerang has made me much better at my job."